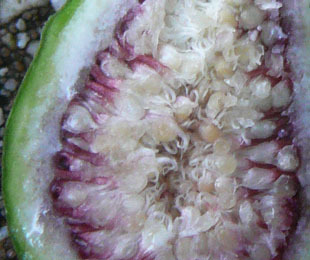 common in the South, the Northwest and the Southwest. 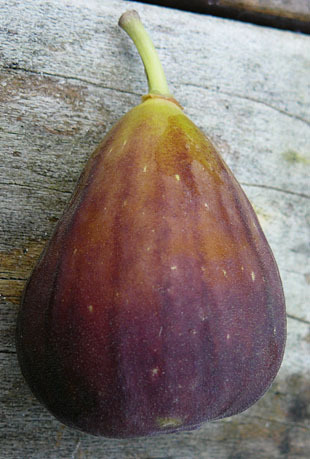 region in the late 990s and grown in UK gardens for fruit. 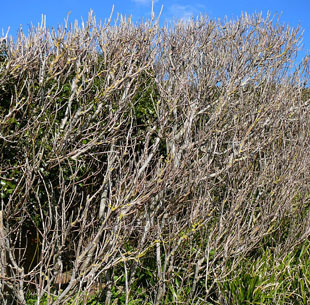 sites, walls and cliffs, in churchyards and by railways and rivers. 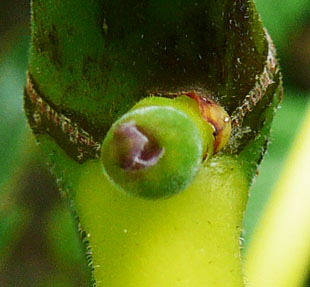 It grows at several points along the Jurassic coast in Dorset. 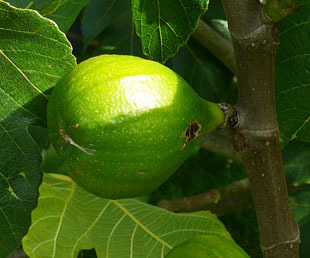 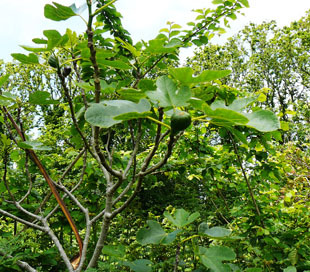 Fig is a spreading, deciduous shrub or tree, growing up to 10m. 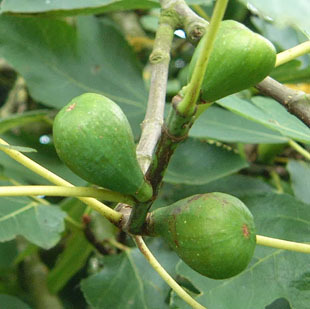 increases in size until the following summer. 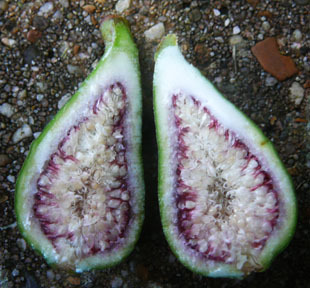 of the fig fruit. 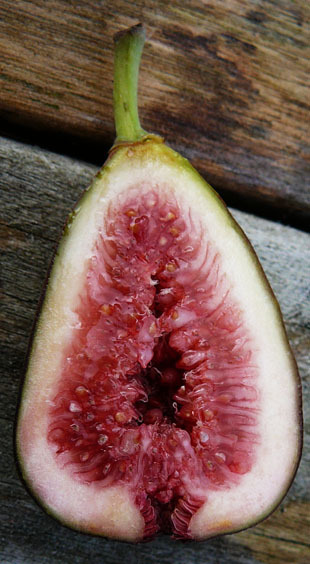 It is classed as a false fruit. 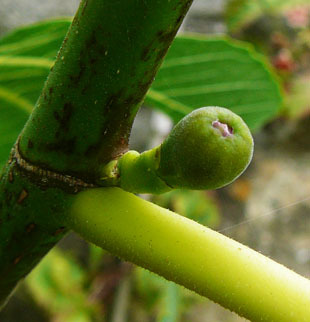 The fruit may remain green or turn purple. 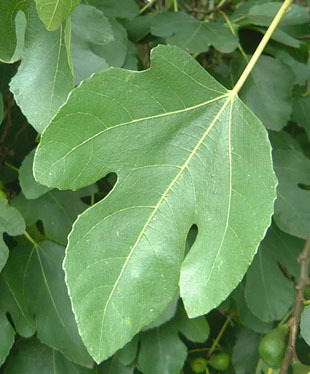 Leaves are 3-5 lobed, green and large (up to 18cm). 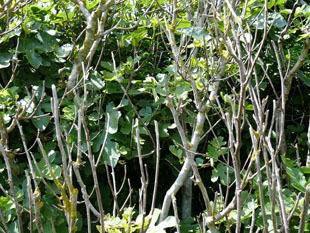 Stems and trunks are pale and smooth and in winter, look dead.